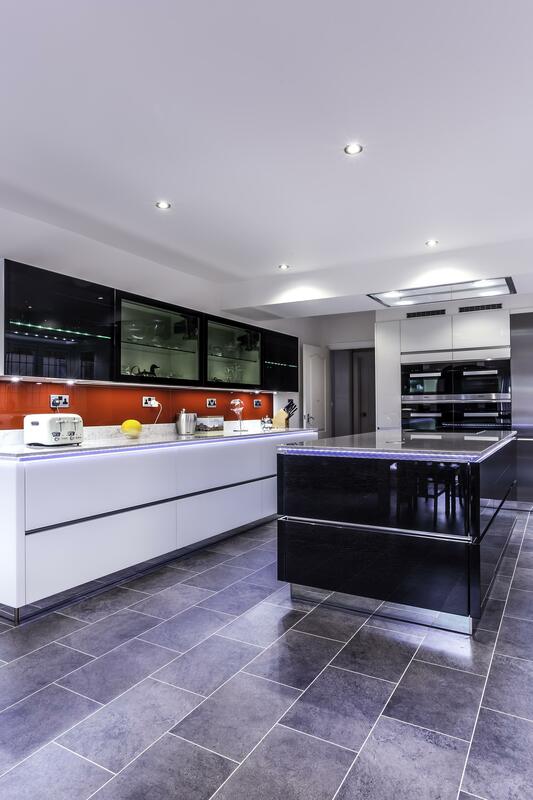 This eye catching kitchen in a handleless design with white glass and lacquer veneered wood doors in Terra Oak is bright and inviting. 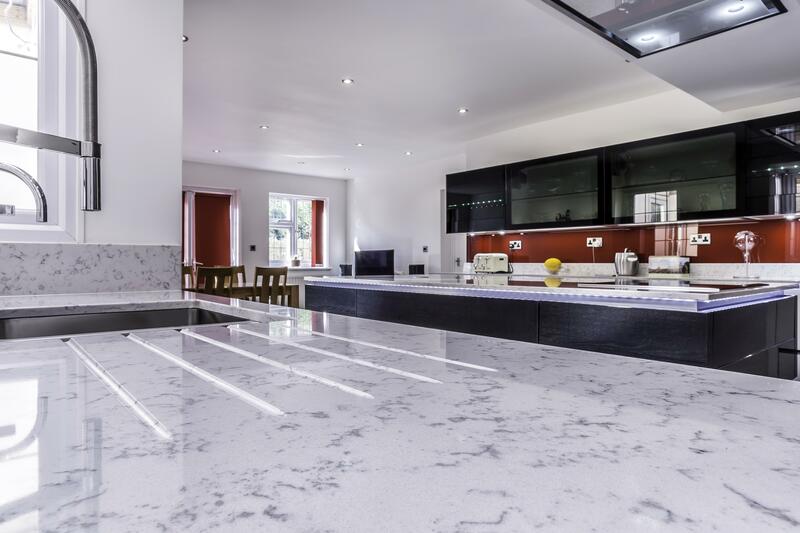 The quartz worktop in ‘Lyra’ has a subtle vein on a light background, which provides an attractive contrast on the island. 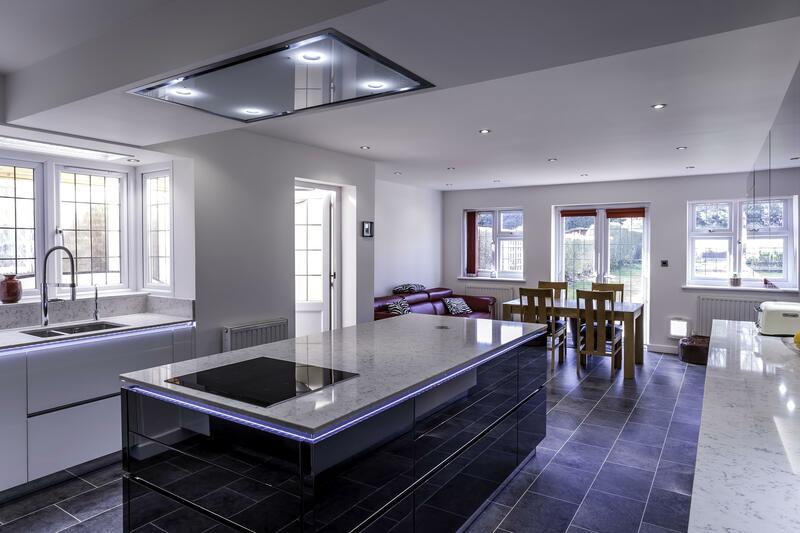 Integrated into the island is the hob, with a flush ceiling extractor that doesn’t detract from the eye line. 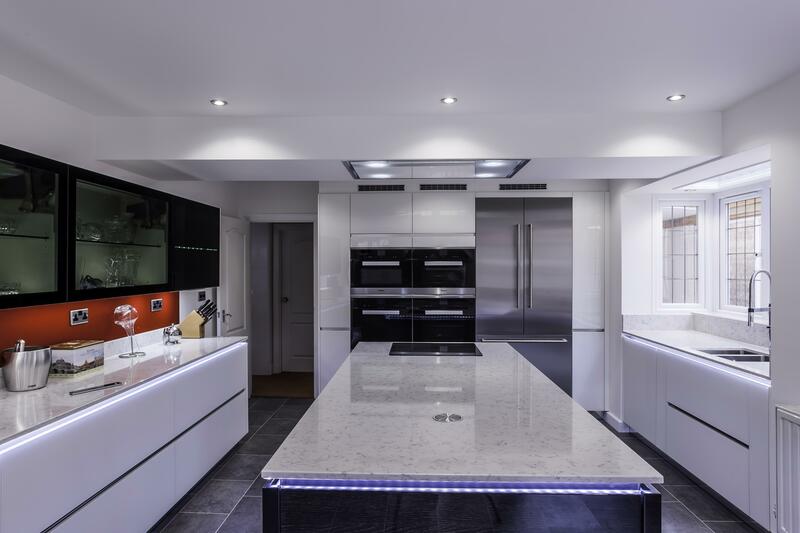 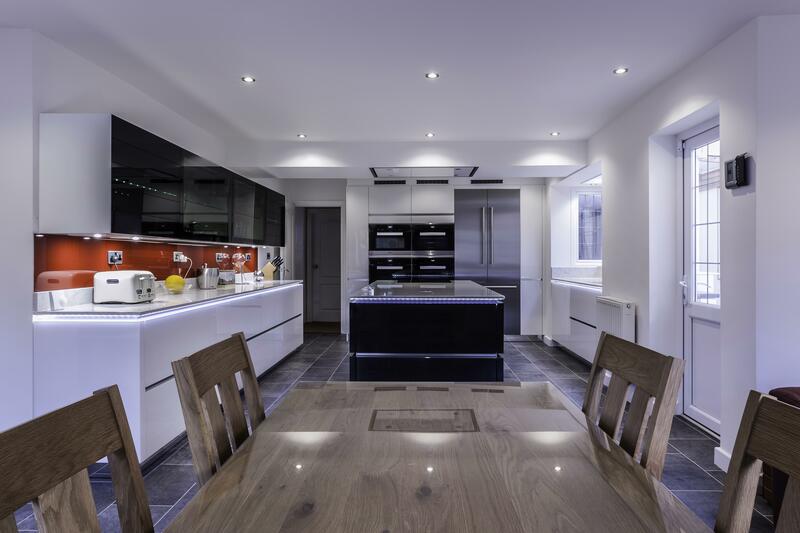 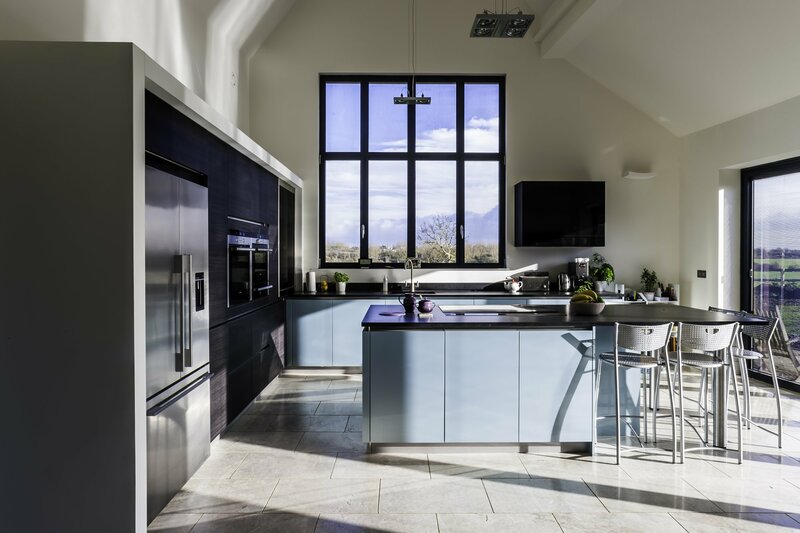 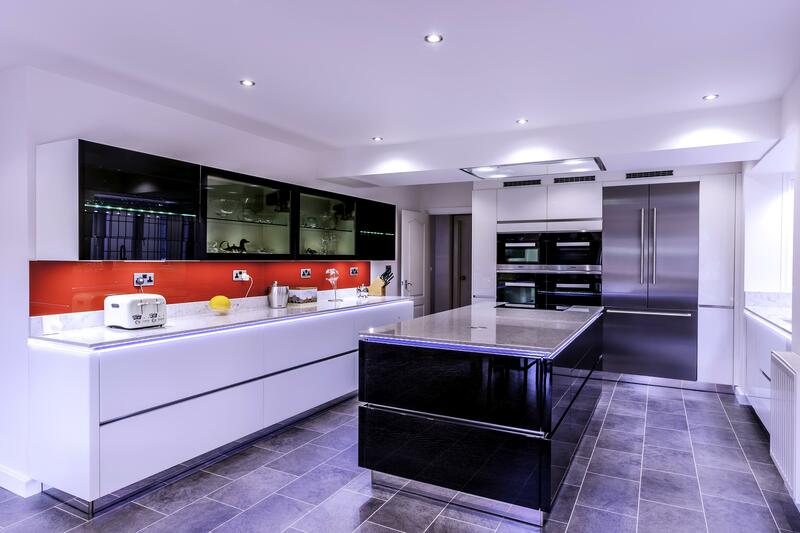 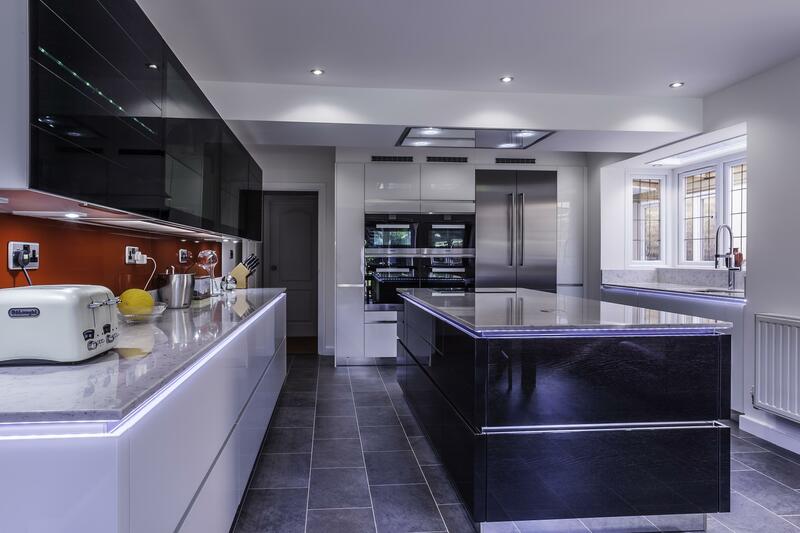 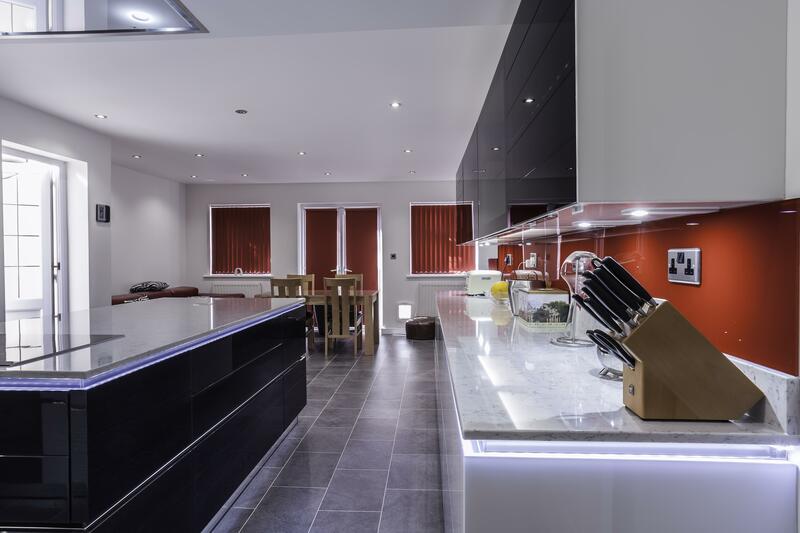 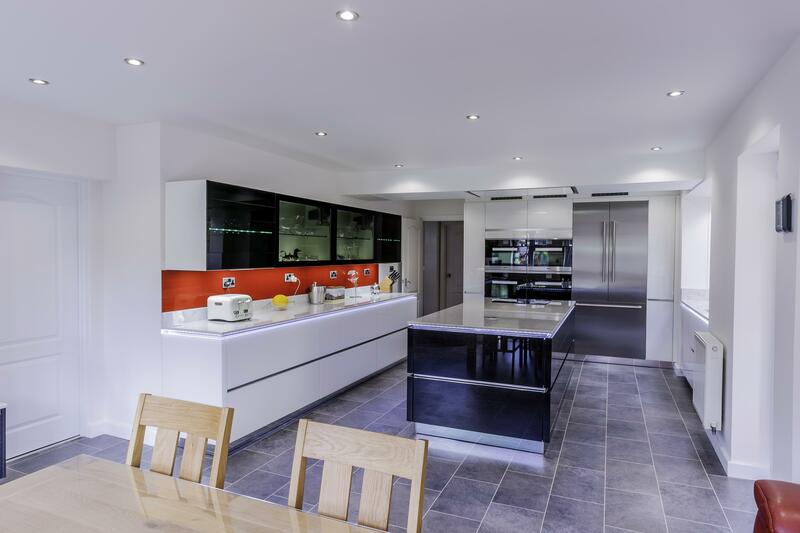 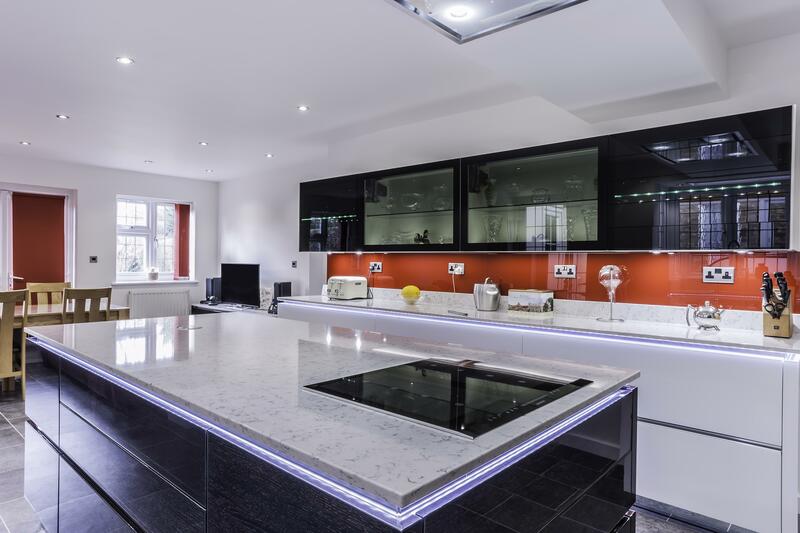 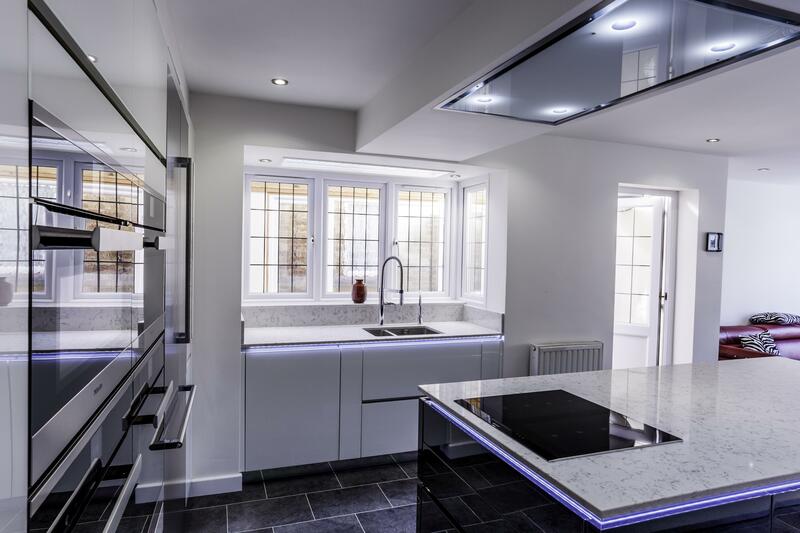 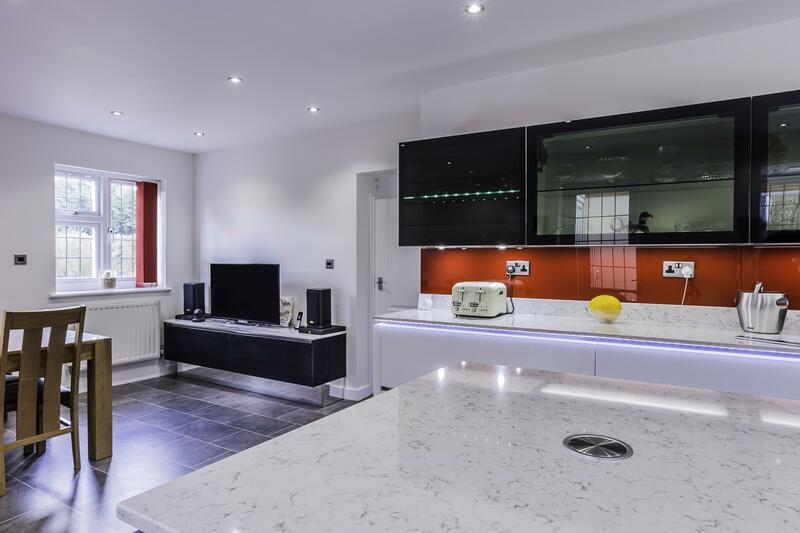 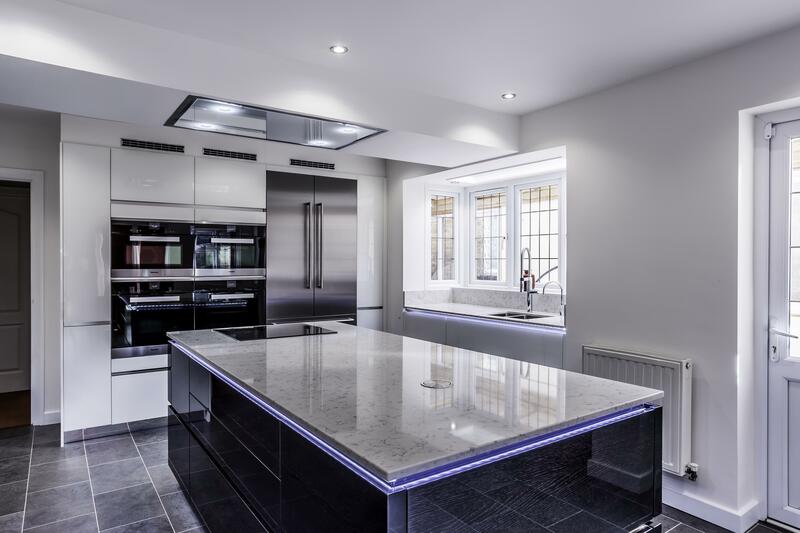 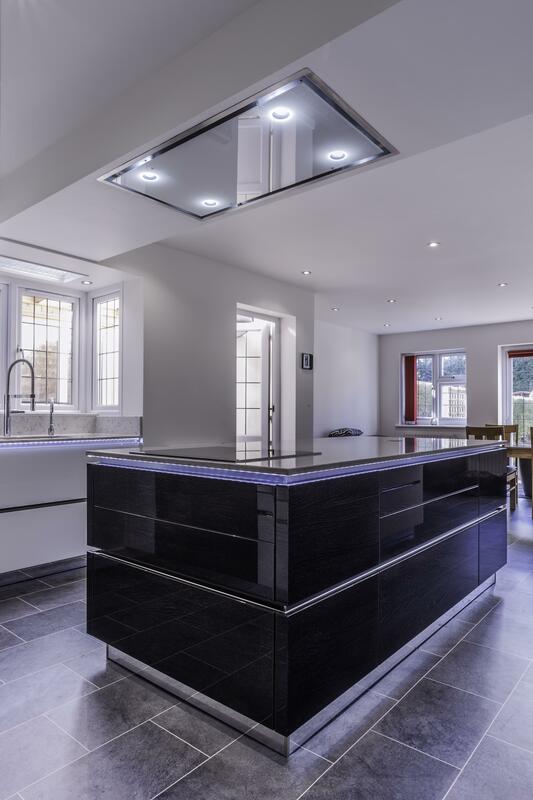 The different types of lighting in this kitchen help to set an atmospheric mood, from the handle trim lighting to the illuminated glass cupboards. 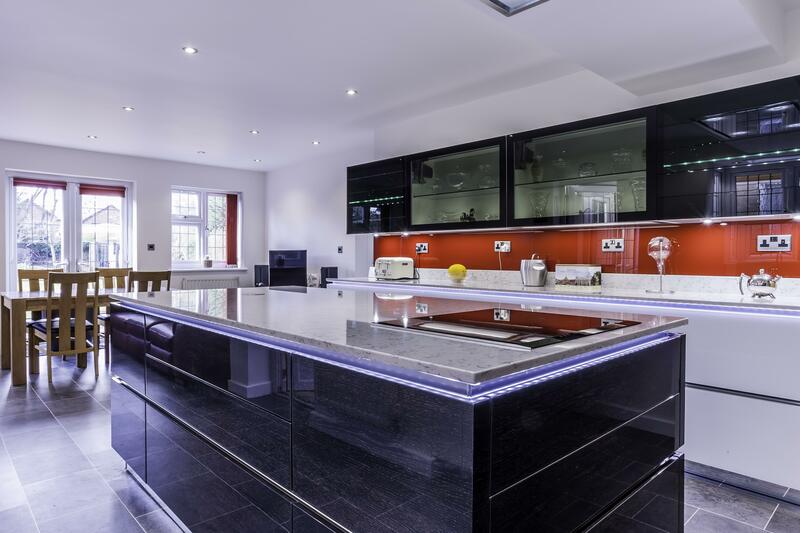 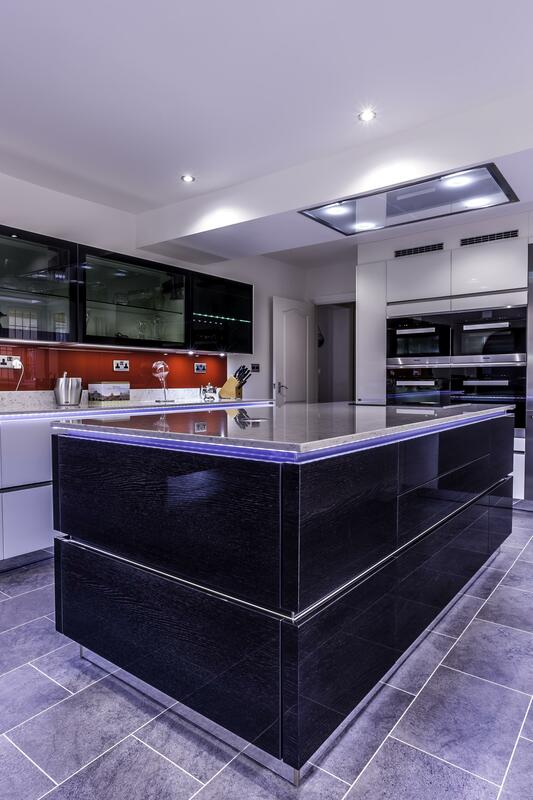 The mix of glazed units have been used to break up the solid cabinetry, with black glass doors in the centre and electric glass ‘climbing’ units either side. 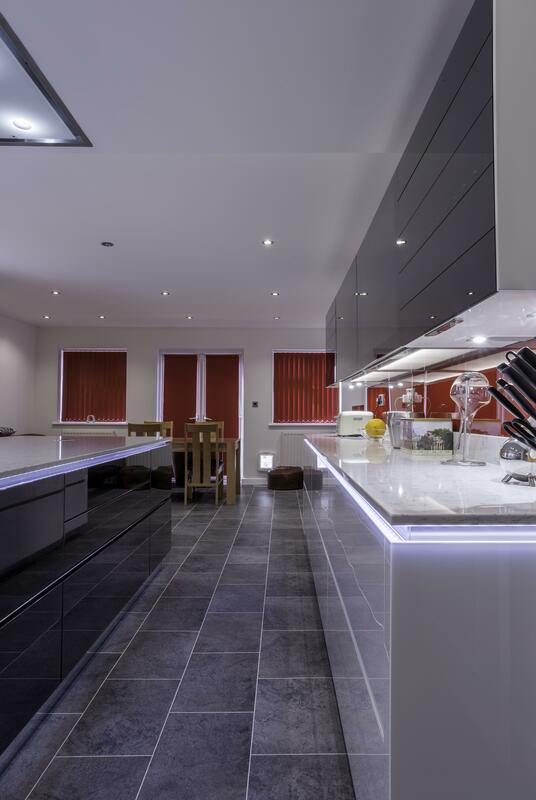 A red glass splashback sets the theme for the rest of the kitchen accessories.